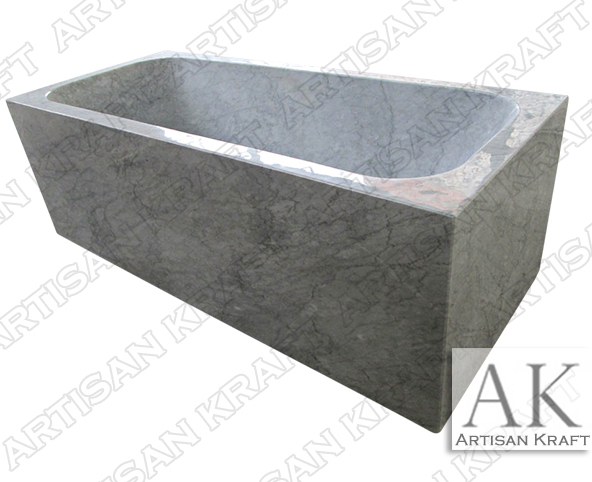 This modern hand carved rectangular tub is made from beautiful Italian Carrera marble. A geometric shape to help better fit into your bathroom shape. Add a pedestal, change the size, include a soaking side to customize to your needs. This style can be installed as either a freestanding tub or one that is fitted against the wall/corner. This particular tub was made for a client in Hawaii.